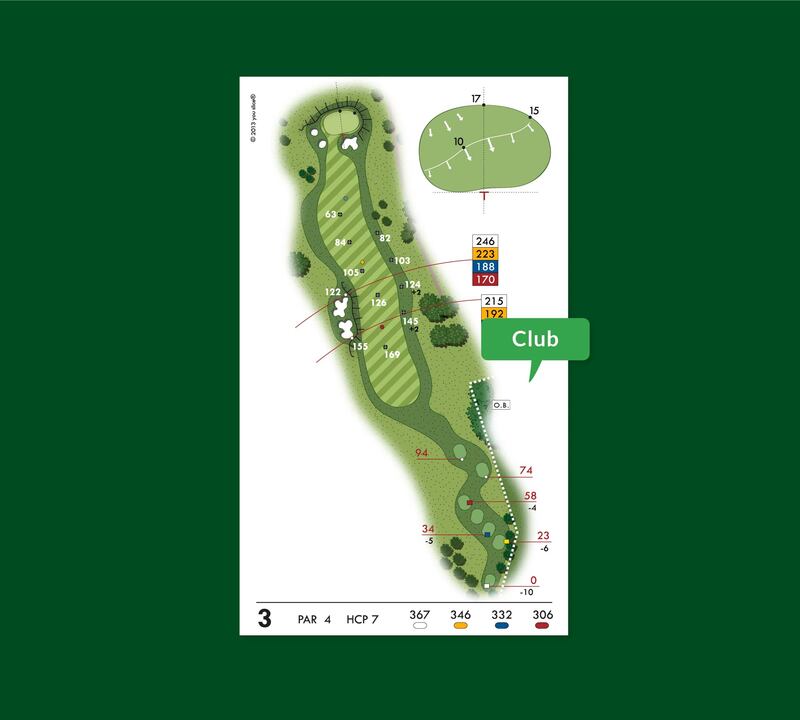 The golf course represented on a bigger scale, allows to better visualize the holes. The use of different colors to describe the different grass and vegetation cuts, allows even those who are not experts to easily understand the whole tour. Moreover the book looks more elegant thanks to the glossy paper and is suitable for printing promotional pages.